Year of publication: 1956 (as Time Out of Mind), Corgi edition 1975. 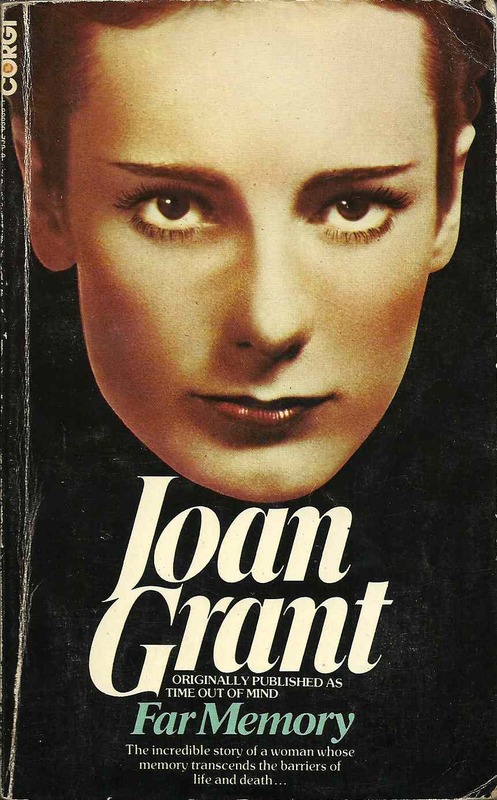 Back cover blurb: The astonishing Joan Grant became aware as a child of her uncanny gift of "far memory" - the ability to recall in detail previous incarnations in other centuries and other lands. 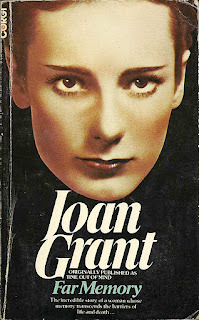 Her books, published and reviewed as historical novels, have been highly praised for their extraordinary vividness and detail. They are, in fact, the author's memories of her earlier lives. Quick flick reveals: As well as being able to recall past lives (see Return to Elysium below), reincarnating novelist Grant also seems to see be able to see ghosts (which suggests that the progress of the soul after death is somewhat convoluted). Her autobiography mixes rather flat descriptions of extraordinary experiences with more mundane details of her life that are quite beautiful in their banality.